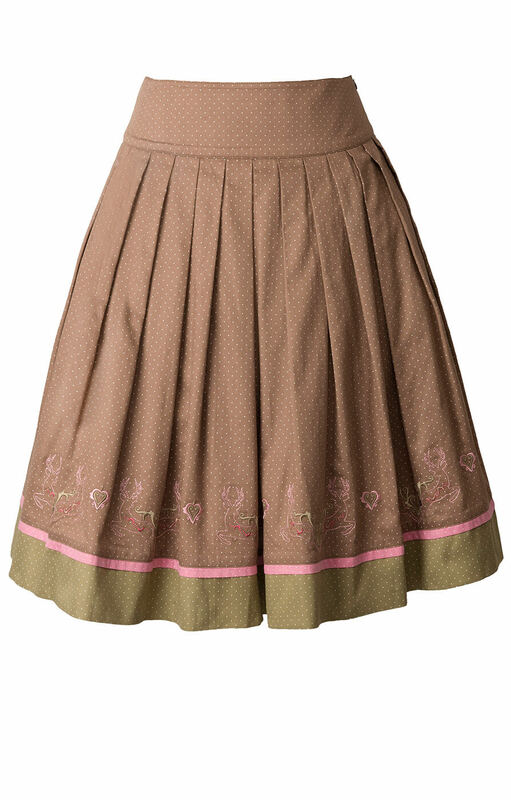 Adorable pleated Dirndl skirt in French beige. 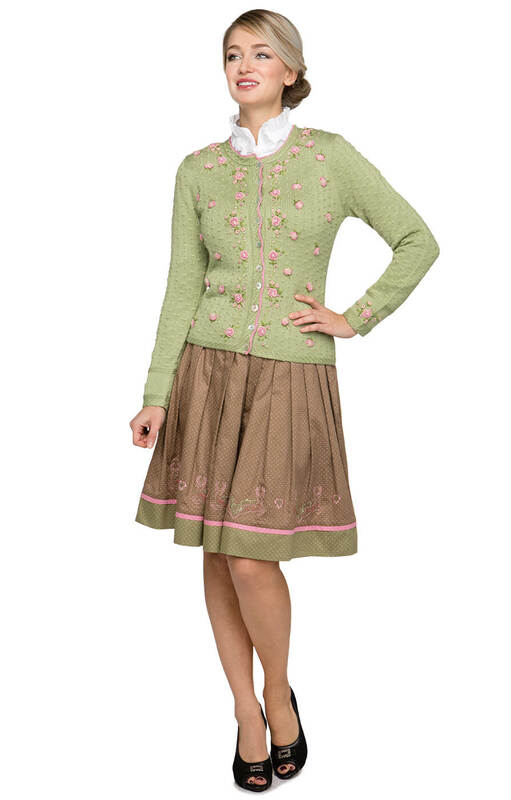 A knee-length pleated A-line Dirndl skirt with character, the pretty pleated polka-dot Mateja features a moss-green hem, pink lacing and colourful embellishments. 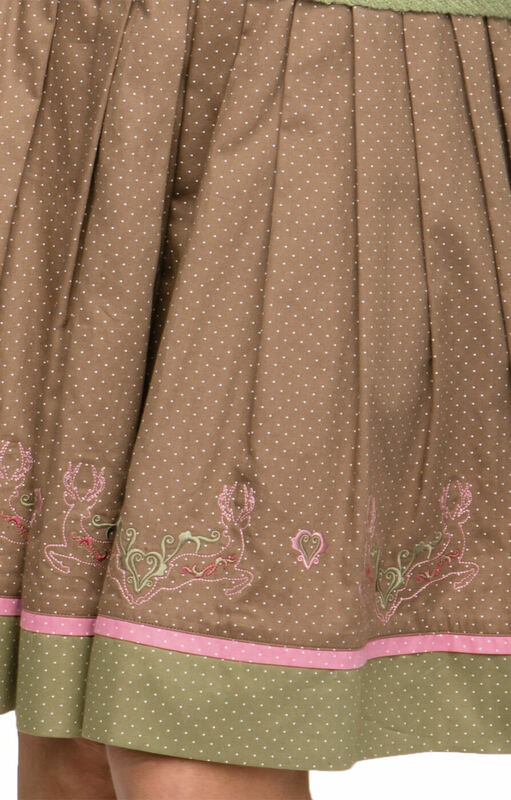 A row of colourful embroidery features traditional Trachten symbols, such as deer, hearts and floral motifs. 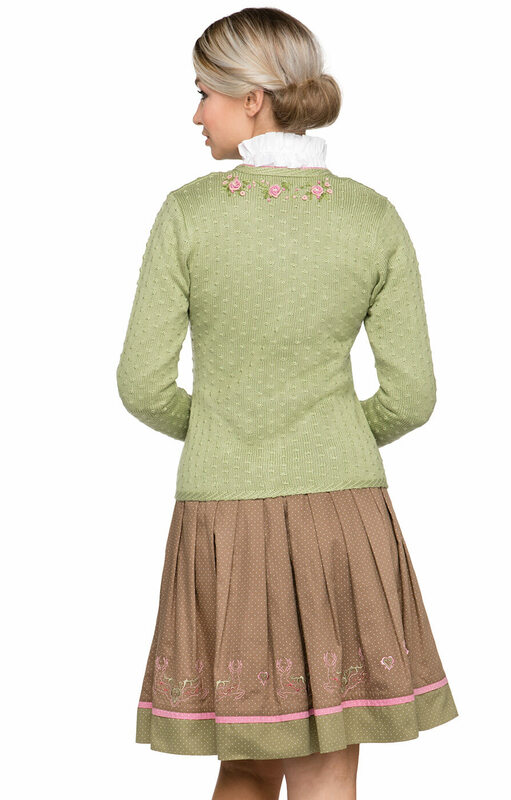 Pair it with an apple-green traditional knit cardigan and a brown Dirndl bag for a Trachten outfit that’s brimming with style.